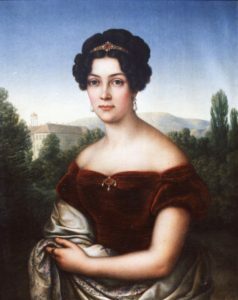 Princess Marie of Hesse was born on 21 January 1796 at Hanau. She was a daughter of Prince Friedrich of Hesse and his wife Princess Caroline Polyxene, by birth Princess of Nassau-Unsignen. Born into a turbulent period for Europe in the aftermath of the French Revolution, Princess Marie was the seventh child and second daughter of her parents. Her elder siblings were Prince Wilhelm, born 1787, Prince Carl, born 1789, Prince Friedrich, born 1790, Prince Ludwig Carl, born 1791, Prince Georg, born 1793 and Princess Luise, born 1794. Princess Marie was christened a member of the Reformed Church receiving the names Marie Wilhelmine Friederike. Prior to her birth Princess Marie’s family had lived in Maastricht in the Austrian ruled Southern Netherlands where her father had been serving as military governor of the city since 1784. After the city fell to the French Republic in November 1794 the family moved to Hesse-Kassel where they set up home at the Rumpenheim Palace on the banks of the River Main. The palace, which her father had acquired in 1781 from his brother Prince Carl, was located between Hanau, where Princess Marie was born, and Frankfurt. It was at Rumpenheim in 1797 that Princess Marie’s younger sister Princess Augusta, the eighth and last child of her parents, was born. In 1803 due to the influence of Napoleon Bonaparte the title of Princess Marie’s uncle, the ruling Landgrave Wilhelm IX of Hesse-Kassel, changed to that of Elector of the Holy Roman Empire. Two years later the newly titled Elector Wilhelm I of Hesse allowed Princess Marie’s father and his other brother Prince Carl to adopt the title of Landgrave. The branch of the family headed by Princess Marie’s father was known as Hesse-Rumpenheim after their estate. Princess Marie had a happy upbringing at Rumpenheim with parents who had a loving marriage and shared religious and charitable beliefs which they passed onto their children. With her father having retired from military service after Maastricht he devoted himself fully to the welfare of his wife and children. During her early childhood Princess Marie also spent time visiting her maternal grandparents Karl Wilhelm, the reigning Prince of Nassau-Usingen, and his wife Princess Karoline Felizitas at their Biebrich Palace residence. Her paternal grandparents Landgrave Friedrich II of Hesse-Kassel and his first wife Landgravine Mary, a daughter of King George II of Great Britain, had both died before her birth. Eventually the turbulence in Europe caused by the Napoleonic wars descended onto the Electorate of Hesse. In 1806 the forces of the French Emperor Napoleon Bonaparte invaded the state and deposed Princess Marie’s uncle Elector Wilhelm. The state was ceded the following year to the newly established Kingdom of Westphalia whose ruler was Jerome Bonaparte, a brother of Napoleon. In 1813 with Princess Marie now in her late teens she helped establish a Women’s Association in Hanau with the aim of supporting orphans and German soldiers in their fight against the French occupation. It was in late 1813 that the French were finally driven out of Hesse and the independence of the state restored with Princess Marie’s uncle returning from exile. During her upbringing Princess Marie developed a particular interest in the arts and she became a student of Wilhelm Unger, a teacher of miniature portraits who had started working at the Academy of Fine Arts in Kassel in 1815. On 19 March 1817 Princess Marie became engaged to Grand Duke Georg of Mecklenburg-Strelitz. Ahead of the wedding her fiancé arrived in Kassel on 7 August 1817 in order to spend time with Princess Marie and her family. Over the coming days Grand Duke Georg was warmly welcomed into her family with a grand dinner held at the Wilhelmshöhe Palace on the 8th, a hunt in the Langenberg hills and a grand ball held in the evening of the 9th and a party hosted by the Minister of State Georg von Schmerfeld on the evening of the 10th. Princess Marie and Grand Duke Georg were married at the Bellevue Palace in Kassel on his 38th birthday 12 August 1817 at 7pm. A 51 gun salute announced the happy news to the residents of the city. 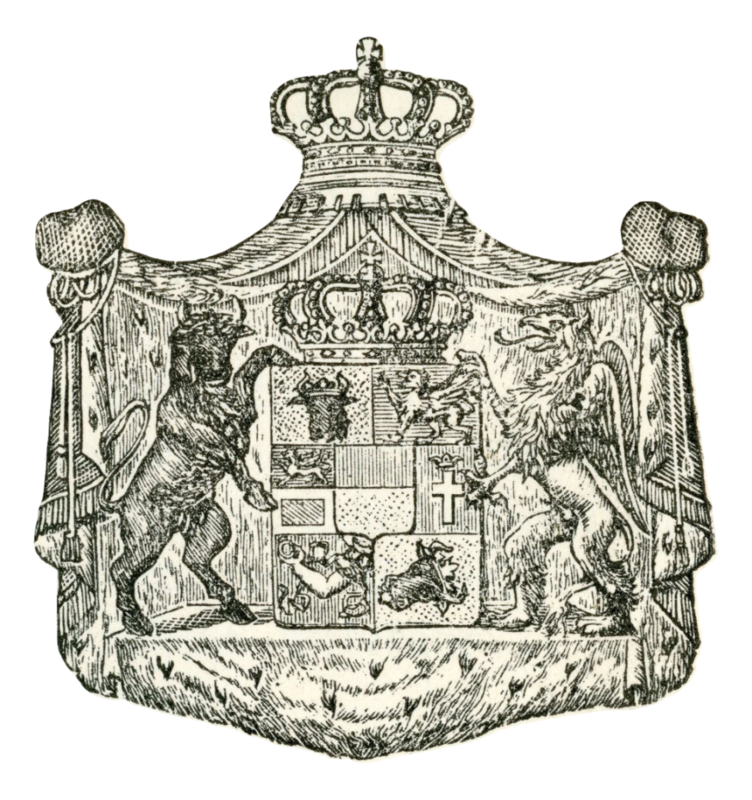 As Mecklenburg-Strelitz had only been raised from a duchy to a grand duchy a year prior to the wedding, upon marriage Marie became the first person to hold the title of Grand Duchess of Mecklenburg-Strelitz. With the succession limited to men, at the time of Grand Duchess Marie’s marriage Duke Carl, the unmarried 32 year old half brother of Grand Duke Georg, was the only person in line to the throne making the issue of providing further heirs to the throne a priority. The first royal birth took place just nine months after the wedding as in May 1818 Grand Duchess Marie gave birth to their first child, Duchess Luise. In October the following year she provided her husband with a son and heir, Hereditary Grand Duke Friedrich Wilhelm. A second daughter Duchess Caroline was born in 1821 followed by the couple’s final child and second son, Duke Georg in 1824. Following her marriage Grand Duchess Marie was appointed an honorary member of the Academy of Fine Arts in Kassel and she brought her passion for art to the Neustrelitz court where she continued to paint under the guidance of her Kassel teacher Wilhelm Unger who had accompanied her to Neustrelitz. At the Neustrelitz Palace Grand Duchess Marie’s living quarters were located on the first floor directly under her husband’s, while on the third floor she had at her disposal two painting rooms overlooking the city. Due to the speciality of her teacher Wilhelm Unger, during her early years as an artist Grand Duchess Marie tended to paint miniature pictures, usually trying her hand at producing copies of works by world renowned artists such as Raphael, Albrecht Dürer, Leonardo Da Vinci and Peter Paul Rubens, or painting members of her own family. After the Neustrelitz born artist Carl Eggers returned from living in Rome, under his and Unger’s guidance Grand Duchess Marie began to produce larger oil paintings. A later teacher was another Neustrelitz native, Georg Kannengießer, who worked with Grand Duchess Marie up until her death. 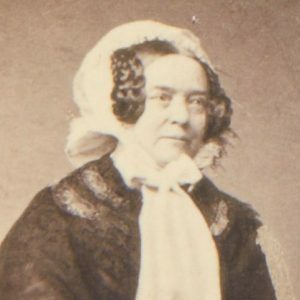 All of Grand Duchess Marie’s teachers would be awarded the title of professor by her husband Grand Duke Georg, with Unger receiving the title in 1820 and both Eggers and Kannengießer in 1846. The majority of Grand Duchess Marie’s works would hang on display in the different residences of the Grand Ducal Family, while she also donated some to local churches in Mecklenburg-Strelitz. Having witnessed her younger daughter marry Crown Prince Frederik of Denmark in June 1841, that November Grand Duchess Marie arrived in Rome with her eldest child Duchess Luise in the hope that the warmer climate may restore her daughter’s poor health. Grand Duchess Marie also used her time in Rome to indulge her passion for art relying on the local knowledge of German diplomat and art collector August Kestner to accompany her on visits to different art collections. Initially the warmer climate seemed to help restore Duchess Luise’s health as she recovered sufficiently to attend some society events and accompany her mother to an audience with Pope Gregory XVI in December. 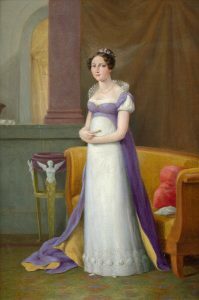 Early the following year however Duchess Luise’s health tragically worsened and she died in Rome on 1 February 1842 of heart disease, leaving Grand Duchess Marie with the sad task of escorting her daughter’s body home. In memory of her daughter Grand Duchess Marie established the Luise Foundation in Neustrelitz, which was the grand duchy’s first kindergarten. Following the death of Grand Duchess Marie’s father in 1837 a few months short of his 90th birthday, having always been devoted to his family he bequeathed his Rumpenheim Palace to Grand Duchess Marie and her five surviving siblings with the wish that they would host family gatherings there every two years. Grand Duchess Marie and her siblings respected their father’s wish and brought their families together every second year. As a result of these gatherings Grand Duchess Marie’s eldest son Hereditary Grand Duke Friedrich Wilhelm came to know his cousin Princess Augusta of Cambridge, the daughter of Grand Duchess Marie’s younger sister Princess Augusta who had married Prince Adolphus, Duke of Cambridge. The young couple becoming engaged in late 1842 and were married the following year. After 43 years of marriage Grand Duchess Marie was widowed on 6 September 1860 following the death of Grand Duke Georg. With Grand Duchess Marie being 17 years younger than her husband, preparations for this eventuality had begun in around 1850 when construction of the Marienpalais in Neustrelitz begun to provide her with a widow’s residence. Grand Duchess Marie remained active in society during her widowhood by continuing to support charities and promoting the arts. With Grand Duchess Marie’s artistic instinct in 1861 on her initiative a gold Laurel Wreath was created to honour Queen Maria Sofia of the Two Scillies for her heroism during the Siege of Gaeta, which proved the final act in the war between the Two Scillies and the victorious Kingdom of Sardinia during the Italian wars of unification. In creation of the gift for a fellow German princess, Queen Maria Sofia having been born a member of the Bavarian Royal Family, Grand Duchess Marie enlisted over 30 fellow German princesses to support her project asking each to donate a gold leaf engraved with their name. Despite the 1866 Austro-Prussian War being particularly sad on a personal level for Grand Duchess Marie with her native homeland the Electorate of Hesse allied to Austria and so on the opposing side to Mecklenburg-Strelitz, she was active during the war supporting charitable causes and issued appeals for the people of Mecklenburg-Strelitz to provide support for wounded soldiers. Fortunately for Mecklenburg-Strelitz, although Grand Duke Friedrich Wilhelm had only with much reluctance allied with Prussia, it ended up on the winning side thereby avoiding the same fate as Hesse which saw Grand Duchess Marie’s family deposed for the second time in her lifetime with the state being annexed by Prussia. In Grand Duchess Marie’s later years she suffered a crushing blow with the deaths of her two youngest children, Duchess Caroline and Duke Georg, within the space of a few weeks of each other in June 1876. Despite having just turned 80, Grand Duchess Marie took on extra duties by taking over from her late daughter as patron of the Carolinestift hospital. As she had done with her eldest daughter Duchess Luise, Grand Duchess Marie wished to create a lasting memorial to her children and in 1878 she had a church built in Remplin and dedicated it to the memory of Duchess Caroline and Duke Georg. Over 60 years after coming to Mecklenburg-Strelitz, at 6:15 am on 30 December 1880 Grand Duchess Marie died in Neustrelitz at the age of 84. Her funeral took place in Mirow on 7 January 1881, after which she was laid to rest alongside her husband Grand Duke Georg in the family crypt in the Church of St John.